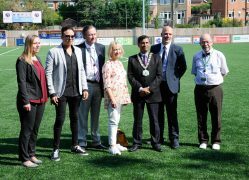 Representatives from Mole Valley District Council, Surrey FA, Dorking Wanderers and Churchill Catering gathered pitch-side in glorious conditions on the morning of Friday 6 July 2018 to mark the official opening of the community football facilities at Meadowbank, in the heart of Dorking. 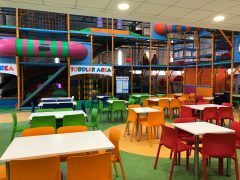 Following a period of delays due to on-site contractors taking longer than agreed to complete the building work, the café and soft play facilities opened its doors to visitors for the first time on 3 May. 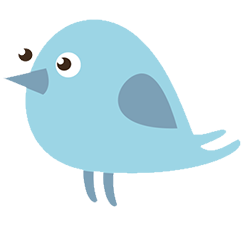 Due to contractor delays on site, Meadowbank Football Ground in Dorking will not open on 19th March. 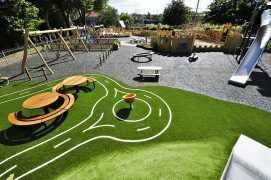 As visitors to Meadowbank park will have spotted, its much-anticipated new community football facilities, soft play and café are in the final stages of completion. 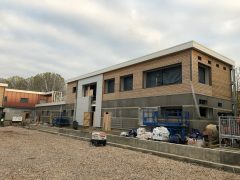 Progress continues to be made at Meadowbank Recreation Ground in Dorking, as the new community-based sports facility takes shape. Calling all fitness enthusiasts! 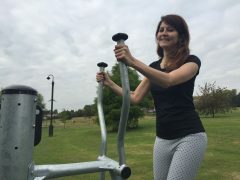 Three newly installed all-weather pieces of outdoor fitness equipment are ready and waiting to be used in Meadowbank recreation ground, Dorking. 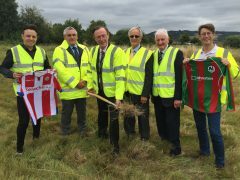 Representatives from Mole Valley District Council, Dorking Football Club, Dorking Wanderers and contractors Conamar Building Services gathered on-site for a ceremonial ‘breaking ground’ to mark the start of construction at Meadowbank Football Ground in Dorking. 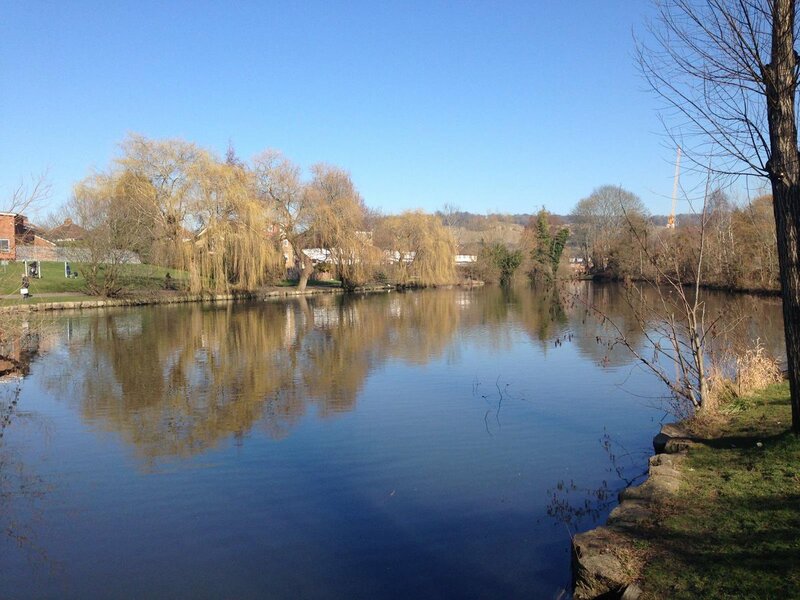 Meadowbank, Dorking’s Big Event was a Great Success! 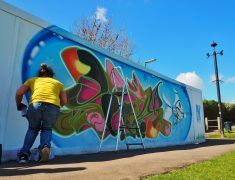 Families from across the District and beyond flocked to Meadowbank in Dorking on Saturday for a fun-filled day. 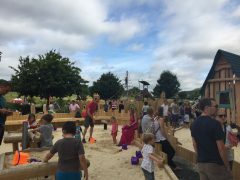 The event marked the official opening of the new playground which boasts a range of inclusive features for kids of all ages and physical abilities to enjoy. 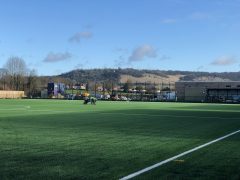 At the meeting of Mole Valley District Council on 12 July, Members considered a report to appoint a contractor to carry out the redevelopment of Dorking Football Ground, Meadowbank in time for the 2017/18 football season. Mole Valley District Council is delighted to announce that the winning design for the new play facility at Meadowbank in Dorking has been chosen; from play company, Kompan Ltd. 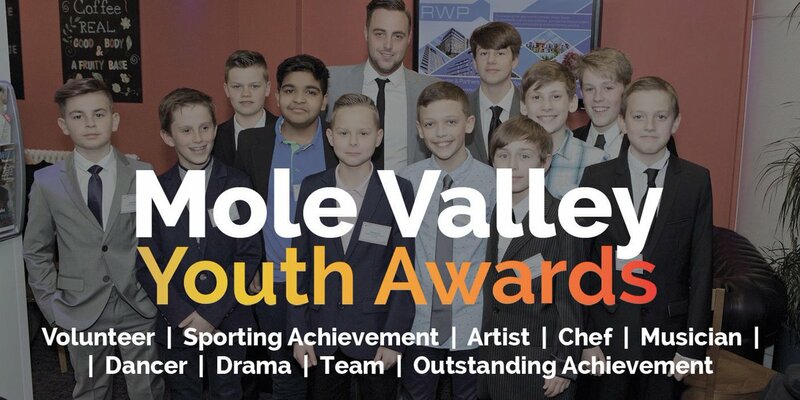 If you know someone aged 11 - 18 who deserves a Youth Award - nominate them now!